A good pair of waders is a fly fishing essential. Whether it's to keep out of the cold water or to protect yourself when bushwhacking through a stream, a reliable pair of waders goes a long way. There is no real difference between a cheap pair versus an expensive pair because the end result will always the same; it will eventually leak. The real question worth your money is when? 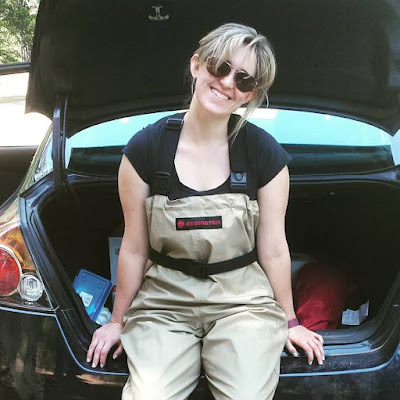 Through countless trial-and-errors I've found that brand name products such as Simms, Redington, Orvis, and Patagonia are the most reliable when it comes to waders. 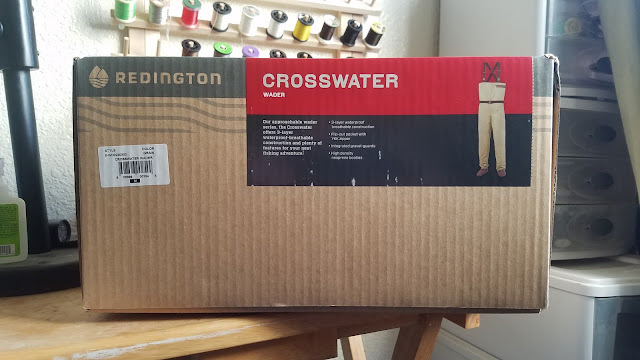 I've tried them all and have come to the conclusion that the Redington Crosswater waders are the best price-to-performance waders currently out on the market. Redington Crosswater waders are entry-level waders that are priced at about $100 a pair. These wader are quite durable however they will not sustain a lot of damage from sharp objects such as hooks, thorns, and jagged branches. I bushwhack a lot to get to my fishing spots and have never had a problem with the durability of these waders. Just don't make the mistake that I made of jumping into a bush full of thorns and you'll be fine. The ocean is a powerful force of nature that will destroy fishing gear if not properly washed after contact. After I get home from a day at the beach I rinse off my Crosswater waders to make sure they continue to keep me dry for as long as they can. Take care of them and they will take care of you. The Crosswater waders fit very comfortably although they don't feel as "premium" as their more expensive cousins do. The shoulder strap feel fine but the buckles feel pretty cheap and aren't very comfortable. They aren't too much of a bother but the quality is noticeable. I've never had a problem with these waders keeping warm. Dress accordingly to the weather and you should be fine. I'm about 5'7'' and wear a size 8.5 in shoes therefore these waders in a medium size fits well for me. These waders will typically last me for about a year before they start to leak. I will most often find the leaks around the back of my calves and shins. All of the premium waders that I've own have lasted me about the same amount of time. 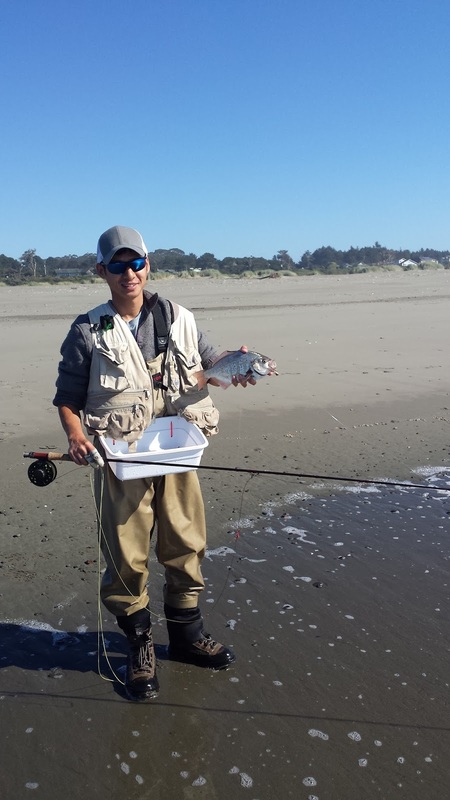 The Redingon Crosswater waders have kept me dry in small streams, coastal rivers, high-elevation lakes, weedy farm ponds, and the pacific surf. With the sheer amount of fishing, hiking, and bushwhacking I do, these waders will typically see me through several adventures for about a year. Once the pin-hole leaks start getting out of control I simply buy another pair of these great waders. My favorite aspect about these waders is that I don't feel guilty about buying a replacement pair because they are so affordable. You simply can't get the same feeling when ordering a replacement pair of premium Simms, Orvis, or Patagonias.